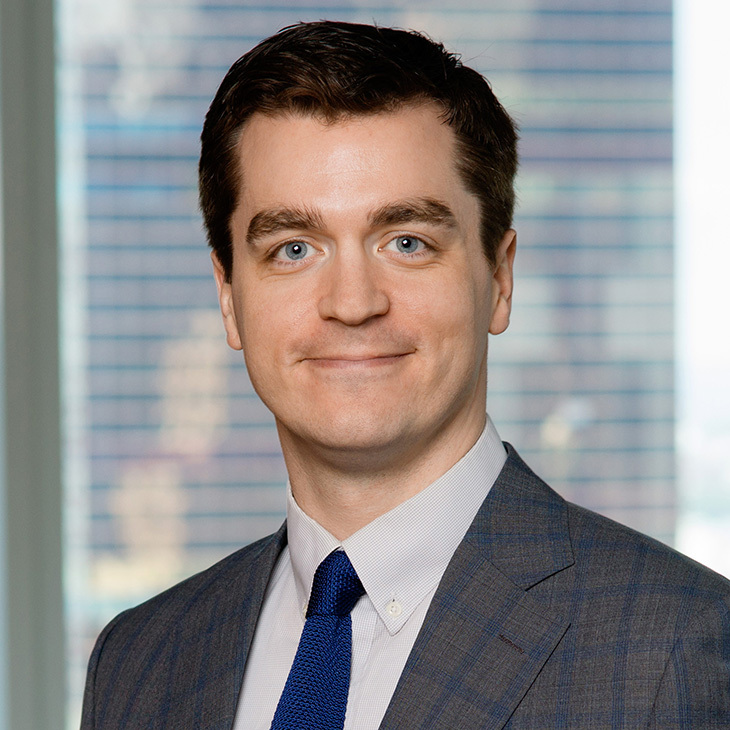 Ethan Roman is a litigation and cybersecurity attorney in the firm’s New York office. In the privacy and data security spaces, he advises clients on managing data breach responses; security incident investigation, containment and mitigation; and best practices and policies. He advises businesses on privacy issues both before and during litigation, and on non-litigation issues including the cybersecurity obligations of senior management and boards of directors, and guidance promulgated by government agencies such as the SEC. Also a civil litigator in federal and state courts, Ethan counsels businesses on a broad spectrum of issues including contract disputes and consumer litigation. He also assists companies with compliance issues and governmental investigations. Ethan is a Certified Information Privacy Professional for the U.S. Private Sector (CIPP/US) and an active member of the International Association of Privacy Professionals, where he serves as a Young Privacy Professional Leader for the New York KnowledgeNet. Ethan regularly participates in pro bono matters, with a focus on veterans’ issues. Prior to joining Manatt, Ethan served in the United States Marine Corps, where he was a chemical, biological, radiological and nuclear defense specialist. Represented a major financial services and insurance company in a securities class action lawsuit. Represented a major manufacturer in a contractual dispute arising from asset purchase. Key member of a team representing a banking corporation in an anti-money laundering investigation. Represented auto lenders in investigations into alleged racial disparity in loan approvals. Represented an auto manufacturer in an investigation of a whistleblower complaint. Advised a banking corporation on cybersecurity obligations promulgated by the SEC. Advised a company on cybersecurity obligations of senior management and the board of directors. Pro bono practice includes successfully defending against eviction notices, representing an inmate in a damages claim for physical injuries, bringing qui tam action against providers of veterans housing for false claims and substandard living conditions, and representing a minor in a petition to appoint a guardian and obtain special immigration status. Co-author, “PCI DSS and card brands: Standards, compliance and enforcement,” Cyber Security: A Peer-Reviewed Journal, April 2018. Co-author, Consumer Financial Services Answer Book, 2017 Edition, Data Privacy and Security. The year 2017 saw the number of data breaches grow, and the trend is expected to continue and intensify.